The population of brown bears in the Italian central Apennines has referred to as an endemic subspecies with the name Ursus arctos marsicanus (Altobello, 1921), based on morphologic and genetic diversity (Loy et al. 2008). One of the key threats to its existence is direct persecution due to conflicts with farmers. The project “A passage for the bear” consists of a set of conservation interventions to prevent conflicts between humans and bears and educate the local communities on how to co-exist with bears. This project is particularly focused on the peripheral range of the Marsican brown bear according to PATOM cartography, which is critically important to promote the re-colonisation process and ensure the persistence of this subspecies. These lands connect the Abruzzo, Lazio and Molise NP (ALMNP), hosting all reproductive females, to large suitable and protected areas, such as the Majella NP (MNP), Simbruini Regional Park and Sirente Velino Regional Park. monitoring of the impacts of our activities by reporting bear damages and bear frequentation. 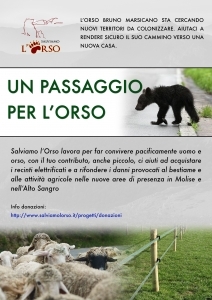 Salviamo l’Orso (SLO) volunteers are implementing the main actions utilising specific skills and competences, such as students or graduates in Conservation Biology – i.e. the English students from Plymouth University – under the supervision of highly experienced members. Monitoring is essential to detect bear passages and implement proactive measures such as securing livestock and prevent conflicts with local communities. Moreover, this action is fundamental to collect georeferenced data on bear distribution for promoting habitat conservation and oppose infrastructural projects which may lead to fragmentation of suitable areas. This project wants to carry out an innovative, proactive bear management approach by securing farms and food-conditioning sources prior to direct interactions with this species, and instructing local communities about its habits and best practices for a peaceful coexistence. Skilful members are collecting and analysing data before and after the project actions in order to identify the population trends outside national parks. 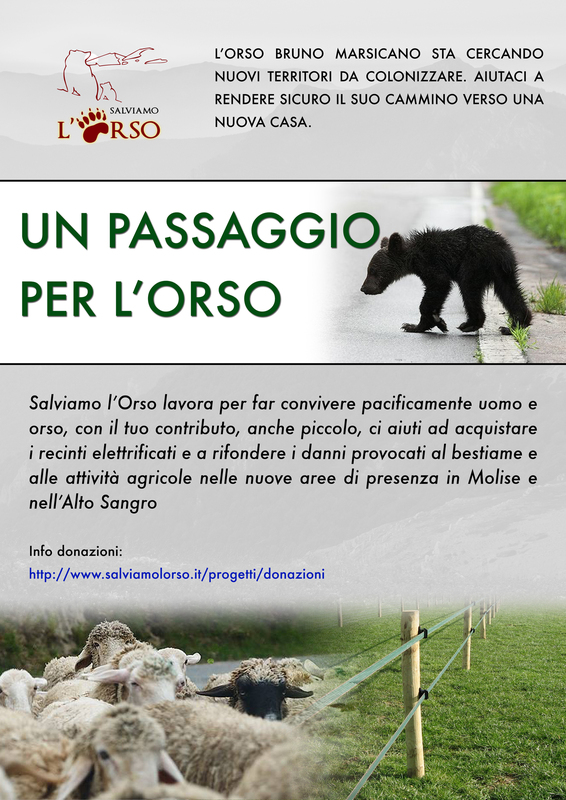 Salviamo l’Orso is organising crowdfunding initiatives to raise funds for bear damage reimbursement and purchase of additional electric fences and their components (link to A passage for the bear fund). 2016-2017 but extendable to following years. GBP 7,000 thanks to a donation from AISPA. 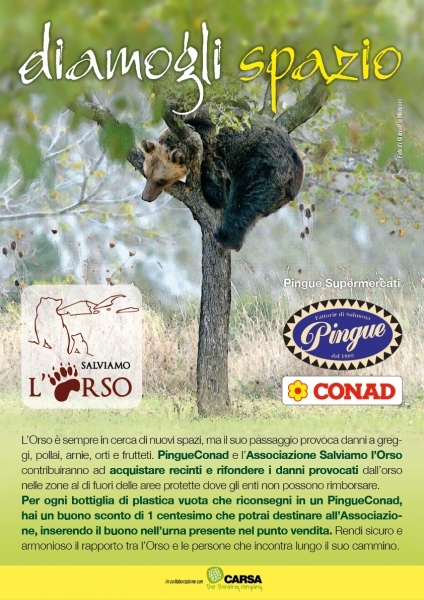 Salviamo l’Orso works to create a peaceful coexistence between man and the bear. With your contribution, however big, you are helping us to provide farmers/inhabitants with the protection of electrified fences and the security of financial reimbursement following damages caused by the bear. This action is a critical step for the protection and expansion of this species’ habitat. With your help we can do it! We can do more. Help us by donating! Your contribution will be spent directly on the protection of the bear.